WestJet announced its newest WestJet Rewards tier Platinum and enhancements to the Rewards program are here in time for the holidays. With this announcement, WestJet Rewards Platinum, Gold and Silver tiers will make it easier for members to get even more value from WestJet's frequent flyer program. Milestone awards will be issued more frequently, and WestJet Vacations packages will also be added towards qualifying spend. By reaching Platinum, WestJet guests will enjoy the highest earn rates and benefits. Starting at $8,000 in annual qualifying spend, Platinum members benefit from an eight per cent earn rate on WestJet flights, with an additional two per cent incentive when booking with a WestJet RBC World Elite Mastercard. Platinum members also benefit from priority services, lounge access along with priority for complimentary upgrades to our Premium cabin with the purchase of EconoFlex fares. Frequent flyers now have access to the Gold tier with a $5,000 spend requirement. Members will receive two additional advance seat selection vouchers and have early access to purchase Premium upgrades 48 hours prior to departure. Additionally, Gold members are eligible for complimentary upgrades to our Premium cabin with the purchase of EconoFlex fares. By spending $3,000 Silver tier members will benefit from enhancements including an additional free checked bag, access to priority check-in and bag drop, along with Zone 2 boarding. Silver members are also eligible for complimentary upgrades to our Premium cabin with the purchase of EconoFlex fares. In addition, milestone awards will be issued more frequently. Top-tier members will receive their first WestJet-wide companion voucher starting at $4,000 qualifying spend and will receive an additional voucher at every $2,000 spend thereafter. All milestone awards will be valid for travel in Economy or Premium. Additionally, WestJet Vacations packages will now count toward qualifying spend to help WestJet Rewards members reach elite tier status faster. 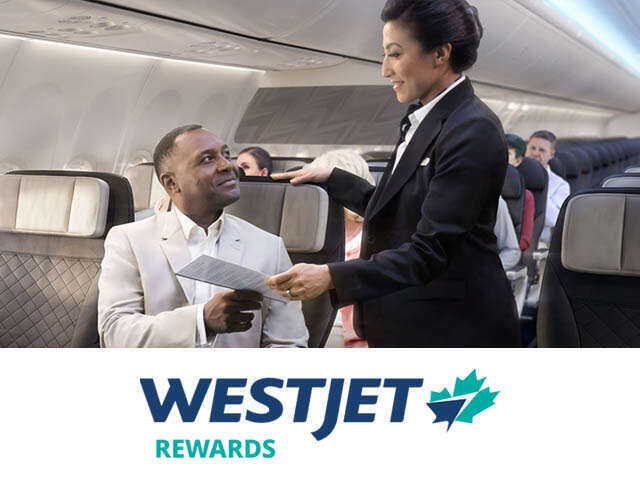 Future enhancements to WestJet Rewards are anticipated throughout 2019, including enhanced lounge benefits, additional priority services, the introduction of a comprehensive upgrade program, improved self-serve automation features, as well as reciprocal tier benefits with joint venture partner, Delta Air Lines, subject to regulatory approval.